Red Wine Protects Against Radiation Exposure | Eat This! 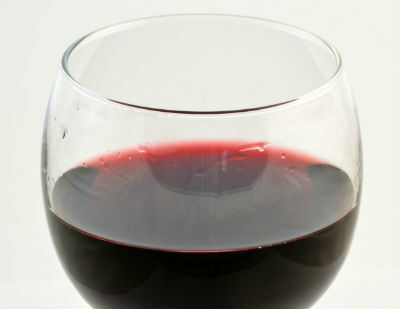 Numerous studies have found that red wine protects against radiation exposure. Italian researchers at the Catholic University and the National Research Council in Italy found that women who drank just one glass of red wine on days when they were to undergo radiation therapy for cancer had a 75% reduced rate of toxic effects from the radiation than women who didn’t drink wine. Researchers at the University of Pittsburgh School of Medicine found that resveratrol combined with acetyl alcohol given to mice before radiation exposure protected the cells from damage and reduced the chances of death. Researchers at the University of Rochester found that resveratrol makes cancer cells more susceptible to radiation treatment while at the same time protecting healthy cells from the effects of radiation. Researchers at Colorado State University found that resveratrol is a radioprotective agent. They orally adminstered resveratrol to mice two days prior to irradiation. The mice who received the resveratrol had a statistically significant reduction in total chromosome aberrations of the bone marrow cells compared to mice who did not receive resveratrol. Many people in Russia and surrounding countries such as Bulgaria drank red wine after the Chernobyl disaster because it was believed to protect against radiation. Professor Donka Baykova of the Bulgarian Nutrition Association says that red wine protects against radiation and is more powerful than iodine in doing so. She also says that one study found that Bulgarian wines were especially protective against radiation.